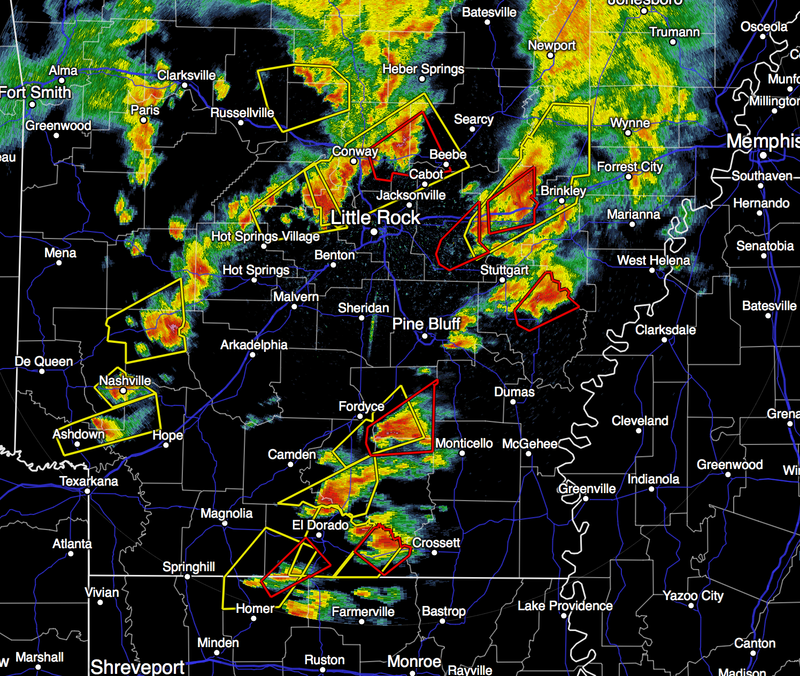 Sorry to report that as of 7:17pm CDT, there are numerous tornado warnings in effect in Arkansas and numerous tornadoes have been reported. 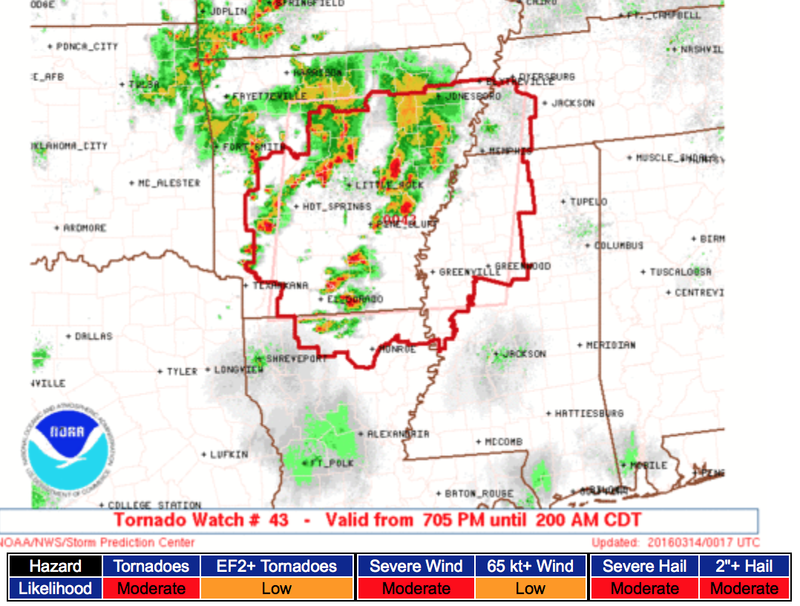 A new tornado watch has been issued until 2am. 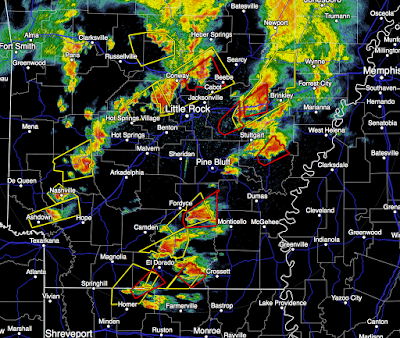 See the cluster of three thunderstorms in south central Arkansas? I'm concerned they will produce tornadoes as they move northeast. Please monitor the weather the rest of the evening and into the overnight hours if you are in the tornado watch.